Sweet, hot, spicy and silky – are some of the emotions that tickle the minds of users on applying customized cinnamon legacy lip balm. 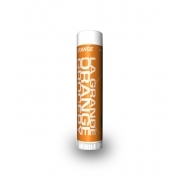 This lip balm spreads a tingling and soothing feeling over lips. 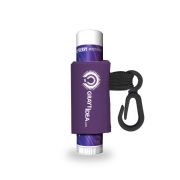 This lip balm repairs impaired lip tissues and produces soft kissable lips with a tangy zip. Health Quotient – Not tested on animals. No animal derived components used. PABA free. Many FDA approved natural, synthetic and semi-synthetic ingredients and components such as aloe oil, bees wax, light mineral oil, coconut oil and vitamin E infused in formula. Cinnamon flavor included. Sweetened with saccharin. Harsh quality enhancers avoided. 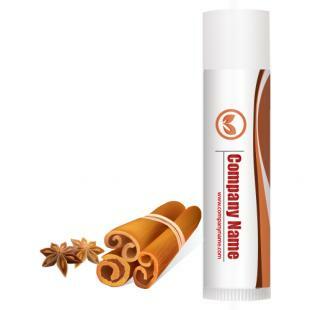 Directions – Rub cinnamon legacy lip balm over regular or weather impaired lips. 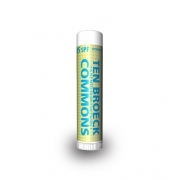 Use it as a makeup base or as a lip healer. 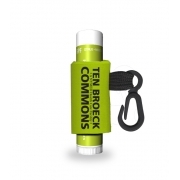 Gifting Favors – Customized cinnamon legacy lip balm w/white cap make a great gifting choice for spice traders, restaurateurs, and food marketers around US. 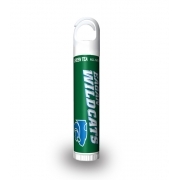 They can either hand it out as an acknowledgement token during promotional events or as a sales driving token.